At the core of Empowered Yoga in Edmonton, Alberta is Michele Theoret, a power yoga instructor, mom, life coach, and self proclaimed anatomy nerd. 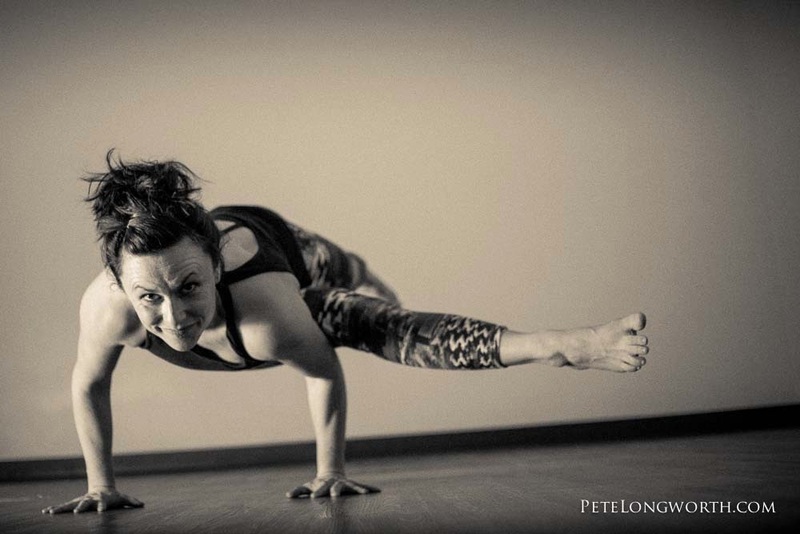 Theoret is passionate about connecting her background in sports medicine with her love for yoga to empower her community to connect with themselves and their bodies. “It’s about getting people back into their body. Because the body talks, we just need to listen,” Theoret explains. Empowered Yoga offers programs that combine the ancient tradition of yoga and eastern philosophies with modern Kinesiology, Psychology and coaching to create relevant, effective teacher trainings, workshops, retreats, and corporate wellness programs. “I wanted to create something that was non-dogmatic and non-religious that empowers people to take responsibility for their own health and happiness, to live and love fully and to be not only comfortable but radiant in their own skin.” says Theoret. Empowered Yoga teacher trainings are created for those looking for a tool to not just master yoga poses, to be able to take that experience out into their lives, to manage their realities that they find themselves in. “Flexibility has little to do with wrapping your legs around your head and everything to do with wrapping your mind around whatever the moment throws at you,” says Thoeret, who believes that her flexible teacher trainings allow people to live empowered lives. Empowered Yoga offers flexible 500 hour teacher trainings* with a “choose-your own adventure” approach to learning. You can choose to complete the training in as long or as little as your schedule and budget allow, and truly tailor your training get out of the program what you seek. “We treat it like university. It’s more explorative. You can chart your own path to create your own education based on your vision,” says Theoret. *The 500 hour teacher training is a 300 hour add-on of advanced study for those who have already completed their 200 hour teacher training program. And for those who aren’t sure that the 500 hour teacher training is for them, feel free to begin with some of Empowered's workshops, as you are able apply those hours towards your 500 hour teacher training later. SHOW UP. STEP TO THE EDGE. RADIATE LOVE. LET GO AND FLOW.